Includes all features of the free version plus load functionality. 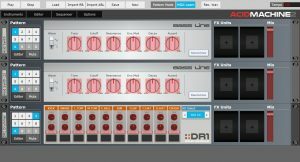 Drum machine with several sample packs to select from. Each drum has pitch and volume control. Velocity can be set for each step. Rebirth .RBS file import – Imports synth and drum machine patterns. 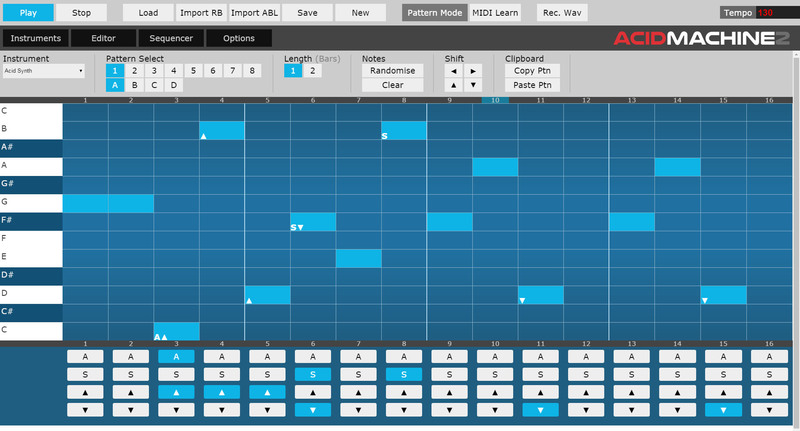 ABL 2 pattern file import – Imports synth patterns. FX Units – 4 FX Units to select from, 2 can be added to each instrument. FX controls can now be adjusted. 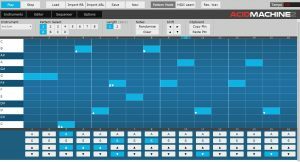 Large piano roll style editor for creating synth and drum patterns. Patterns can be shifted up, down, forwards and backwards from within the editor. Control 303 parameters like slide, accent, octave up and octave down from within the editor. Patterns can be 16 or 32 steps long. Improved randomize functionality. Create random phrases with the ability to select the scale used. 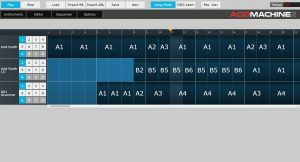 MIDI controller support with learn function to link your midi controller knobs to the instruments. We offer web development, HTML5 app / game development, and custom music and sound design services. Our office is based in Liverpool.